A Florentine women artist whose works are hidden at the Uffizi Galleries. This Florentine painter and poetess was known for teaching other women. Duclos (1754–1795) has several 'hidden' works at the Uffizi Galleries. Two of her self-portraits are in storage in the Uffizi Gallery’s collection. The more widely-recognized rendition is dated 1783 and shows an elegant Duclos with painting tools. A second, less traditional self portrait (Inv. 1890, no. 6856) was recently attributed to Duclos by former Uffizi curator and scholar Giovanna Giusti. The small-scale canvas depicts the artist in her workshop, dressed with Eastern flair. In 1773, Duclos was commissioned by Medici Grand Duke Pietro Leopoldo to create a portrait of his court numismatician Joseph Hilarius Eckel (in the Uffizi deposits). Two years later, the Grand Duke purchased her copy of Andrea del Sarto’s Madonna del Sacco, the badly damaged fresco located in the Church of Santa Maria Annunziata in Florence. 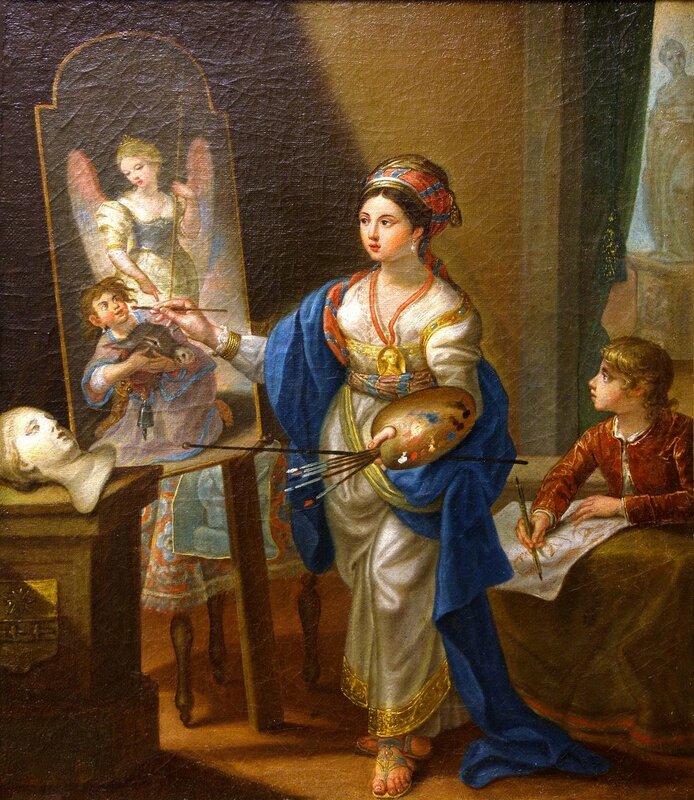 Duclos achieved the title of "Accademico Professore" at Florence's Drawing Academy in 1783, she was similarly recognized as a member of the art academies of Bologna and Rome. An exponent of the literary circle, Academy of Acardia, founded in the late 1600s.